Archery is a Paralympic sport of concentration, strength and accuracy. 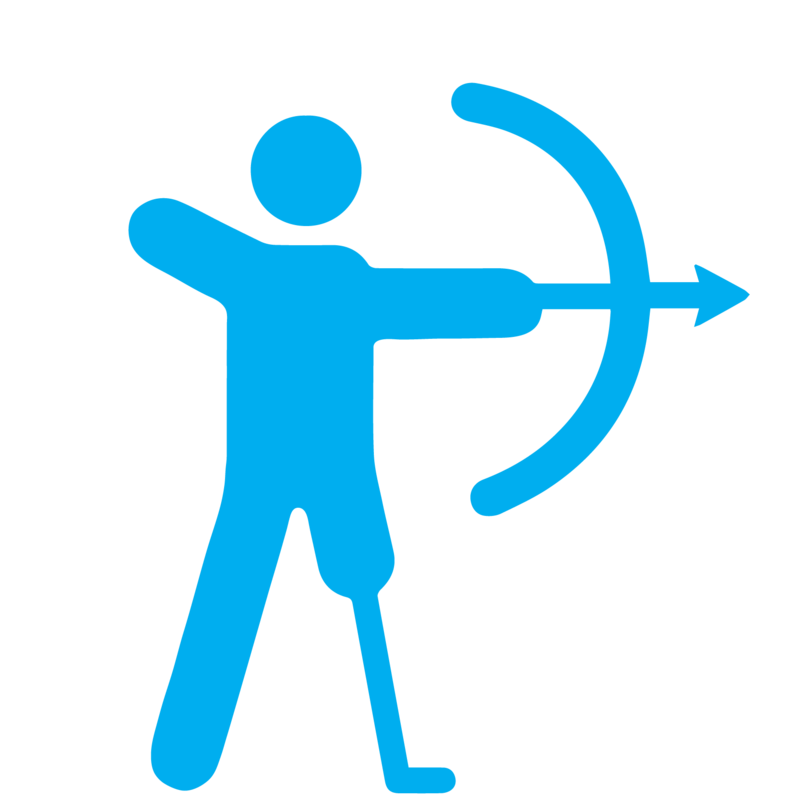 Whether using a compound or recurve bow, using a mouth tab or any other adaptive device, anyone with a physical disability can compete in archery. The goal is the small, centered, bullseye! Coaches offer techniques and training to better athletes’ skills in the sport. Clinics will consist of the introduction of equipment, coaching techniques, and fun target practice. Right or left-hand bows, and all other equipment will be provided. Coaches will make modifications and use adaptive equipment based on initial assessment of athlete’s abilities.